Featuring farm to body products from women-owned, small business, all-natural purveyors of wellness, the Bliss Box is specially crafted to offer artisanal products for the entire being - face, skin, and spirit. 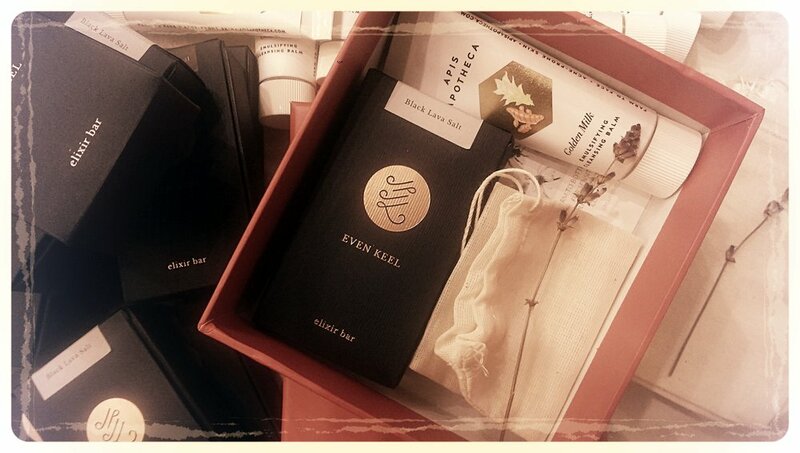 Our Winter Edition features Apis Apotheca and Even Keel speciality products, and also includes a 15 minute herbal consultation to curate a custom medicinal herbal tea blend included in the Bliss Box. Hand-grown and hand-crafted by Apis Apotheca, an organic medicinal herb farm that makes whole plant skin care and farm to bottle, high vitality herbal remedies with raw herbs. Inspired by the classic Ayurvedic beverage that Apis’s founder was introduced to by Indian relatives when she was still a tween, this Golden Milk // Emulsifying Cleansing Balm takes oil cleansing to a whole new level. A deep whole-plant infusion of cooling, reparative herbs organically grown on our own farm joins with rich, nourishing butters and oils to soothe and moisturize damaged, acne prone skin. A healthy dose of turmeric Co2 extract modulates and prevents inflammation while cardamom opens the sacral and heart chakras, helping us feel calm and comfortable in our own beautiful, unique skin. It is capable of fully removing even heavy make up. This cleanser preserves and builds our skin’s intuitive, all-important moisture barrier. Even Keel infuses Eastern Roots with Western Herbs to handcraft a vegan bath & body line with a principal focus on our earth’s natural clays, oils, and botanicals. Brooklyn-based, this woman-owned company was founded based on the belief that skincare should be simply natural, minimal yet effective. Batched in small quantities of 30 or less, every product is handcrafted fresh with botanicals and herbs that your skin will love. Echinacea & Agrimony: echinacea’s polysaccharides boosts the skin’s healing process and along with Agrimony astringent qualities, they help detoxify the skin and reduce inflammation. Activated Charcoal and Rhassoul Clay: This pairing has excellent oil-absorption qualities without over-zapping the skin. Sun-Infusions: Olive oil with Calendula petals, Rice Bran with Echinacea leaves/flowers and Coconut oil with Agrimony leaves. Benefits of the Salt Trio: Inspired by the ocean’s high mineral content, salts have been used for centuries for it’s rejuvenating and detoxifying properties. 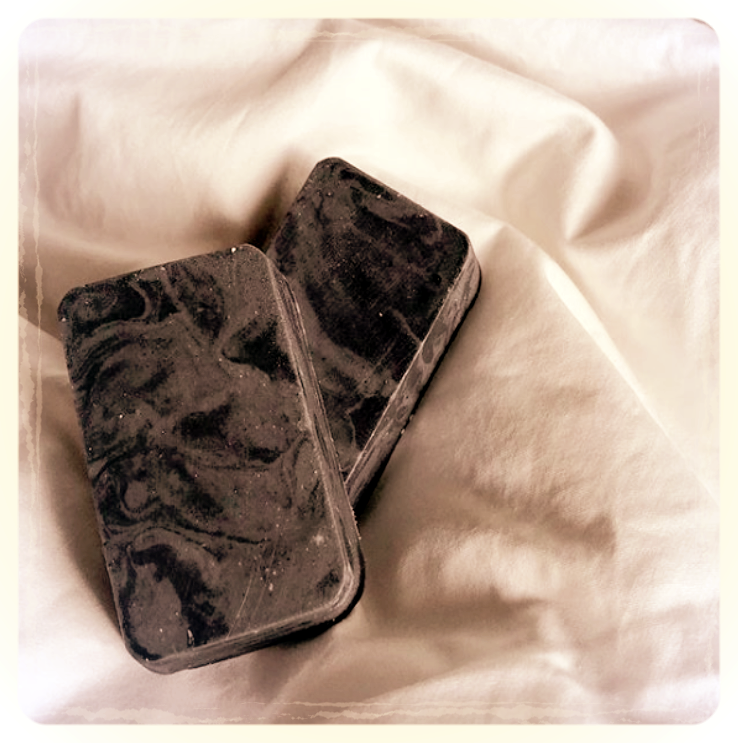 Refreshing Cleanse: Saturated with sea salt, Epsom salt and black Hawaiian salt, this bar will leave you feeling refreshed, just like that shower after a dip in the sea. With every Bliss Box, you will receive a complimentary 15 minute herbal consultation via phone with our Founder and Clinical Herbalist who will curate a custom medicinal tea blend for your personal needs. The medicinal blend comes in a re-usable muslin tea bag for your ongoing tea enjoyment. Consultations will be booked after the order is placed.